I was at the grocery store the day after Halloween and it was already CHRISTMAS!! Now, I love Christmas as much as the next person, but is it just me or did we skip a holiday in there somewhere? Last time I checked my calendar, we still had Thanksgiving? Now, I am not a fan of turkey, but I love sitting around a table with my family at Thanksgiving and just being part of all of the love and thanks that we can give for so many blessings we have in our lives. I love for my kids to get time with their aunt and uncles. I love watching my husband getting to eat his favorite meal (I am a horrible cook and would NEVER attempt to cook a full turkey dinner). When did all of those things get pushed aside for shopping and Santa Claus? 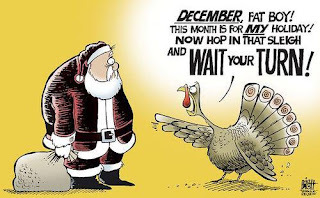 So, instead of plotting the shopping route for Black Friday that maybe we slow down a little and enjoy the holiday for what it was meant to be...a day to give thanks. Okay, I'll come of my soap box now and get on with the blog hop. Before I do that, I want to tell you that in honor of Veteran's Day, the ebook of Indivisible is on sale right now for 99 cents! So if you haven't had a chance to read it yet, now is the time to do it! !